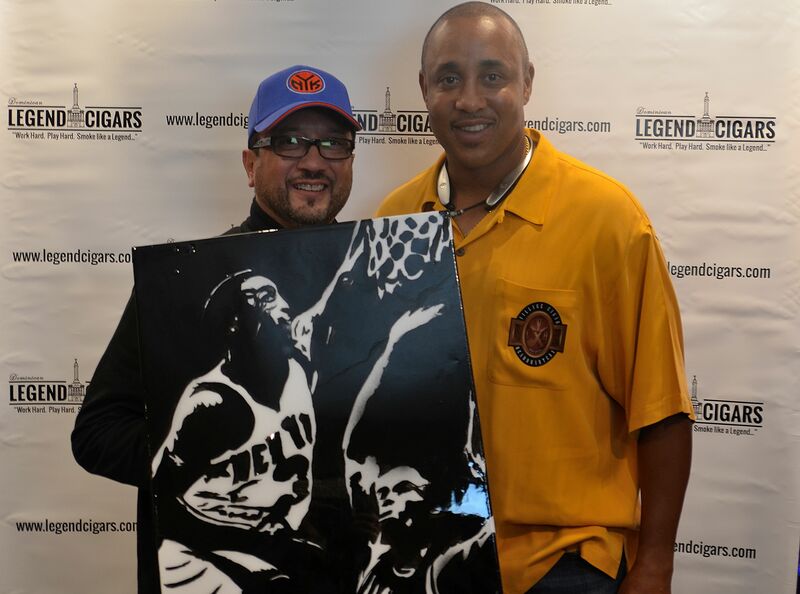 New York Legend John Starks fought the buckets of rain and made his way to Long Island Friday night. 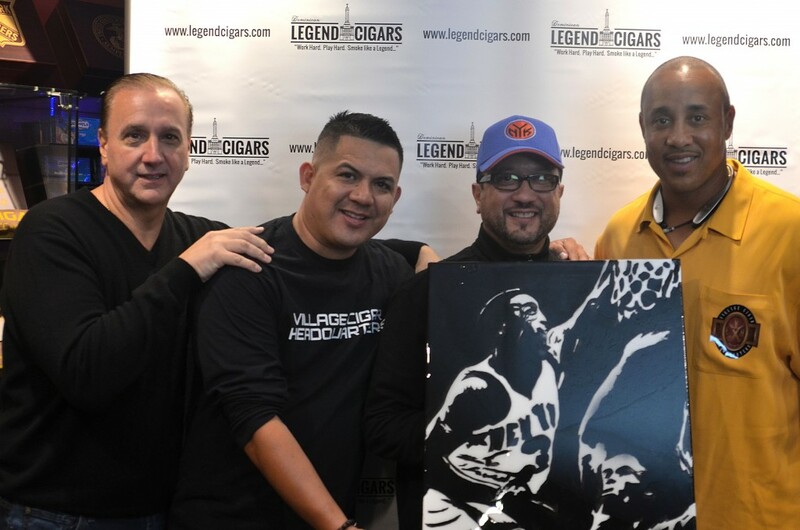 The former NY Knick released his Legend Cigar number 3 stogie and came out to smoke with his friends at Village Cigar Headquarters. VCH has become a great event location. 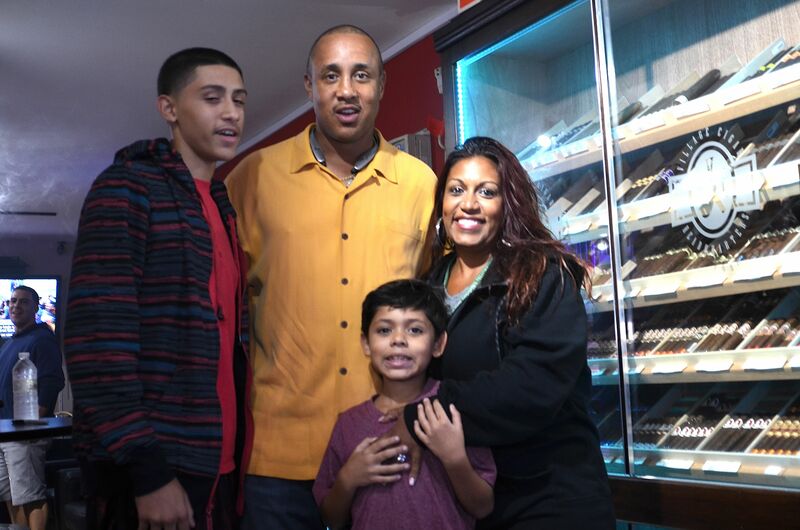 Miguel and Josephine Baez along with staff have turned this cigar shop into a center of culture. This has become the modern day Rick’s from classic film Casablanca– everyone comes to VCH, just like they did to Rick’s. Miguel Baez is today’s Rick Blaine! The beautiful thing about event nights at VCH is everyone comes out. In an age where everyone focuses on their cell phones and forgets how to interact, nights like this bring people together. People come out like the Knick fans mingling with business owners or artists finding inspiration. People talking about the past while others are planning out their futures. 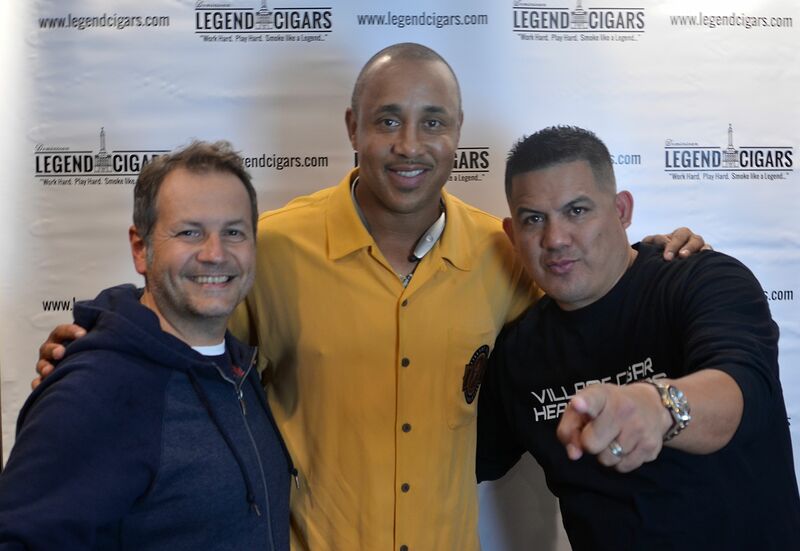 It all happens at Village Cigar Headquarters. 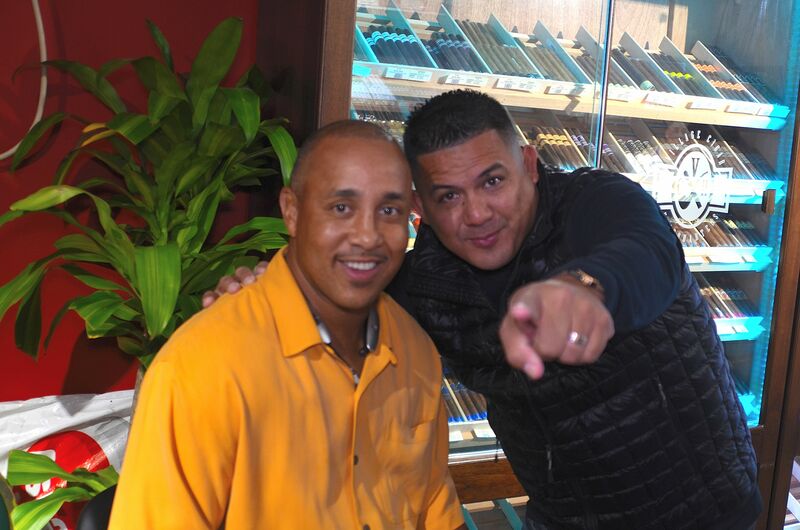 One of the artists we met was Frank “Andres” Gonzalez. 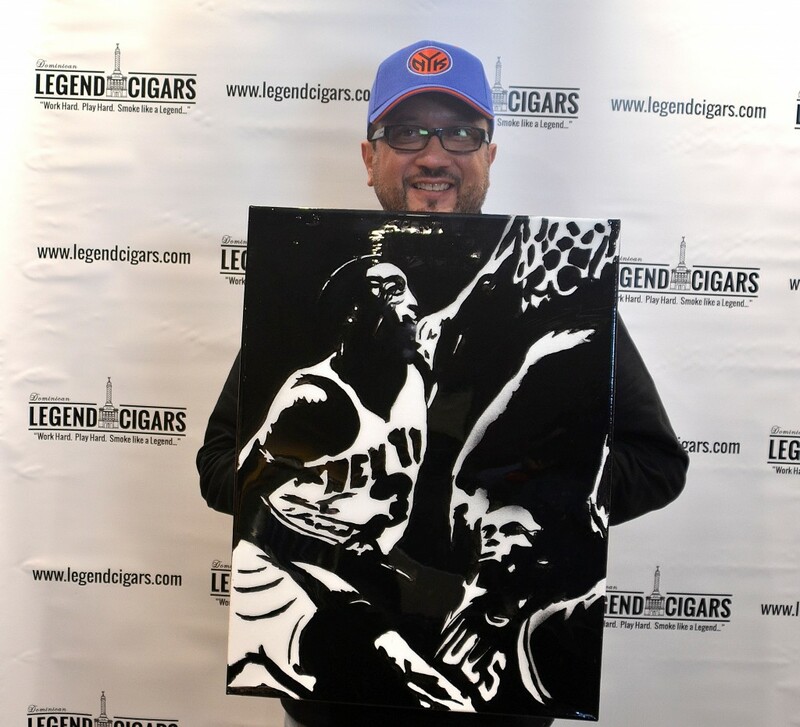 Andres bought out a black and white silhouette of Starks’ dunk over the Bulls. 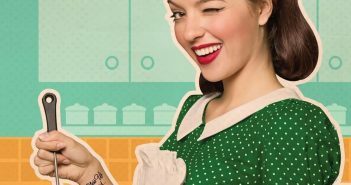 We can’t wait to work with him! 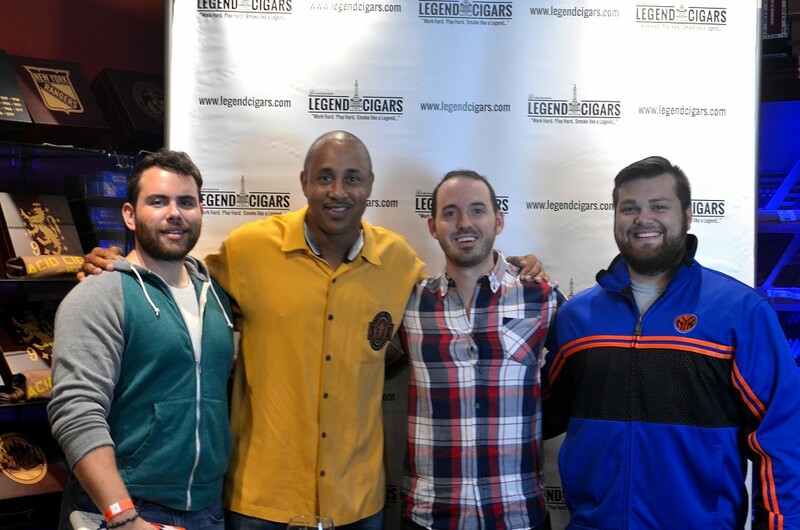 John Starks is a lion relaxing in the weeds. In his everyday life Starks is soft spoken and reserved. 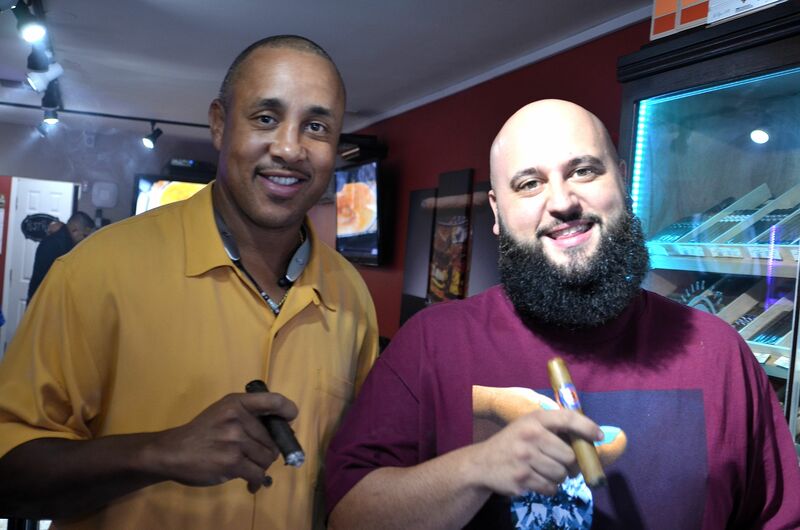 If you were a fan of the early 90s Knicks, like I was, Ewing might have been the best player, but John Starks, was the heart and soul. On the court he was a ferocious competitor. Starks was “our guy.” Starks wasn’t a first round draft pick… in fact he was unsigned out of Oklahoma State. He wasn’t solely a scorer but he was a great defender. Starks regularly the shortest guy on the floor- but had the biggest heart. 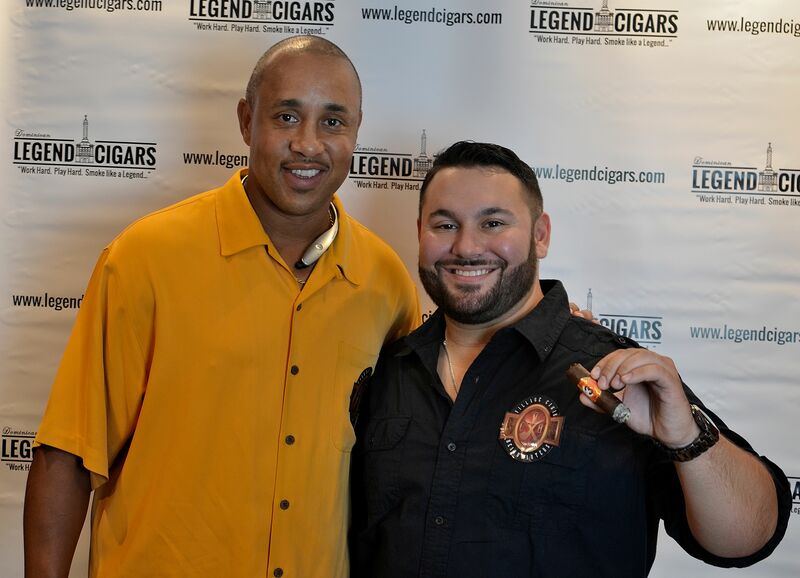 John Starks previewed his new line of sticks- the Legend Cigars Number 3. He produced three different sticks. His line includes a Brazilian Maduro wrapped Dominican. This cigar is an earthy smoke with hints of coffee, chocolate and a light peppery note. He also produces an Ecuadorian Connecticut and a Dominican Corojo. I didn’t have a chance to sample the last two. All these sticks are available at Village Cigar Headquarters in both Patchogue and Babylon.